With the employee wellness industry changing so quickly, wellness programs are getting more sophisticated so organizations are looking to technology to support them. GetApp provides a list of app vendors. Wellness programs are evolving beyond traditional health risk assessments and step challenges. While these are commonplace, wellness programs are expanding to include unique services and demanding more complex integration with third-party systems such as insurance claims experience data, devices, electronic medical records and beyond to prove results. Organizations exhibiting the Results-Driven Wellness Model are a prime example of sophistication and programs that are data-driven and advanced in their requirements. With this sophistication comes a growing need for wellness technology that can help providers easily adapt to new ideas and innovations while minimizing administration and the analysis. In the past, wellness software wasn’t very common and only the most elite wellness providers were using it. Things are changing and so are the growing vendors providing apps and software. 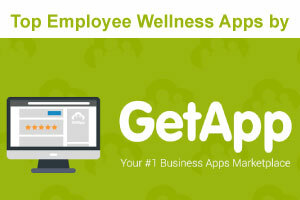 In fact, GetApp, a leading software resource that enables visitors to research software, compare and choose, published their list of Top Employee Wellness Apps to Improve Worker Wellbeing. “Employee wellness is already on the agenda at many leading organizations: in 2016, 87 percent of employers offered emotional or mental well-being programs, and 76 percent provided financial health programs. What areas of wellness should I focus on? How will it generate ROI? Finding the answers to these questions on your own is a headache. Luckily, the last few years has seen the emergence of corporate wellness solutions that provide a platform to help you build that foundation. Leading wellness software such as CoreHealth can help you create wellness programs that match the needs of your employees through health assessments, as well as providing advice and input from wellness experts, and help you provide a user experience that will engage employees and make them want to follow the plan. These solutions also allow you to track your wellness plan’s successes and failures and make adjustments based on this data so you can tailor this to your company and employee needs, and ensure you deliver on ROI." As wellness technology evolves, expect growing resources like GetApp to help you with your research. LOOKING FOR EASY TO USE, AFFORDABLE TECHNOLOGY? If you are a wellness provider looking for new technology, we want to hear from you. CoreHealth is the technology that enables successful wellness providers to design, deliver and administer the most innovative wellness programs for clients. 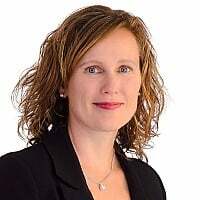 The CoreHealth platform is the ‘secret sauce’ for corporate wellness providers, insurers and their wellness divisions, employee assistance program providers, health coaching companies, benefits brokers and Human Resources Consulting firms. If you are a wellness provider looking for an all-in-one employee wellness platform that is easy-to-use and gives you full control to innovate, fast - contact us.